NEW YORK -- A little less zip on the fastball. Still has that baffling changeup. 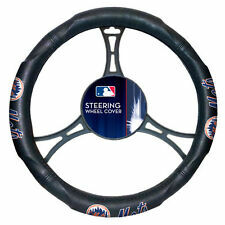 Throw in a slider, plus all his pitching savvy, and it seems Johan Santana has more than enough to win. 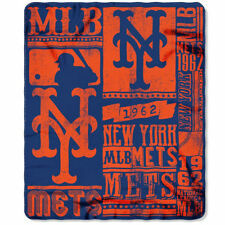 Back on a major league mound for the first time in 19 months, Santana tossed five innings of two-hit ball in his long-awaited return from shoulder surgery and David Wright hit an RBI single to lead the New York Mets past the Atlanta Braves 1-0 in their season opener Thursday. "It's one game but it's very, very important for us," Mets manager Terry Collins said. "We pitch, we can compete." New York's revamped bullpen picked up for Santana and shut down the Braves, while the shortened fences at reconfigured Citi Field hardly came into play. But it wasn't all good news for the Mets, who watched new center fielder Andres Torres hobble off after re-injuring his left calf. Torres said he's headed to the disabled list and back to Florida for a rehab program. It was the first time since 1996 that Atlanta fielded an Opening Day lineup without Chipper Jones, and the Braves were punchless at the plate. Coming off a near-record collapse last September that cost the team a playoff spot, Atlanta managed only four hits against Santana and four relievers. "Looks like the same dude to me," said Braves cleanup hitter Dan Uggla, who struck out his first two times up. "The only difference I can see is like, he's not throwing quite as hard. But it didn't seem to matter." On a sunny, 53-degree afternoon, the Mets honored late catcher Gary Carter in a pregame ceremony and announced a sellout crowd of 42,080 -- the largest ever at Citi Field, which opened in 2009. There did appear to be patches of empty seats, however. Expected to finish last in a loaded-up NL East, the Mets have slashed $43.4 million off last year's Opening Day payroll -- believed to be the largest one-year drop in baseball history. But with Santana finally in uniform again, it was a day filled with optimism. "Today is the perfect situation," new closer Frank Francisco said, "to show some negative people out there we can do it. We can win more than they think we can." Santana struck out five and wriggled out of a fifth-inning jam in his first big league appearance since beating the Braves 4-2 on Sept. 2, 2010. He had surgery 12 days later to repair a torn anterior cruciate capsule in his left shoulder. "I'm happy with the way everything ended up," the two-time Cy Young Award winner said. "I want to make sure I'll be able to locate all my pitches and mix them all, and I think today was a good day." On the other side of the field, Atlanta was missing two key pieces. Jones, who recently announced his plans to retire after this season, is on the disabled list following arthroscopic knee surgery to repair a torn meniscus. Also on the mend is ace Tim Hudson, who had offseason back surgery. In his absence, Tommy Hanson got the start and wound up with a hard-luck loss. "He pitched well. You know, just that last inning we ran into a little bit of trouble, but for the most part today he made his pitches and we were cruising there for a while," Braves catcher Brian McCann said. Torres, acquired from San Francisco in an offseason trade, drew a leadoff walk from Hanson (0-1) in the sixth and scored on Wright's single. Moments later, Torres took a bad angle on a triple by Tyler Pastornicky, the rookie's first major league hit, and pulled up while chasing the ball. Torres originally strained his calf March 20 but hurried back for Opening Day. Tim Byrdak, back already from March 13 knee surgery, struck out Jose Constanza and Michael Bourn to escape the jam. Ramon Ramirez (1-0), obtained in the same deal as Torres, got four outs to earn the win. Jon Rauch worked a 1-2-3 eighth and Francisco pitched a perfect ninth for the save. "We've been talking all winter that we've improved our bullpen," Collins said. "It couldn't have set up better and they all came in and delivered." Santana retired 12 in a row after Martin Prado's first-inning single, striking out the 3-4-5 hitters in succession before Matt Diaz doubled in the fifth. His fastball mostly ranged from 86 mph to 89 mph, and his signature changeup looked sharp. The left-hander walked two consecutive batters with two outs in the fifth, including Hanson. Santana went to a full count on Bourn with the bases loaded and, with the crowd on its feet, got the speedy leadoff man to hit an inning-ending comebacker. "He's by far one of the greatest competitors I've been around," Collins said. "He just doesn't give in to anybody." Despite losing their first eight openers, the Mets improved to 33-18 on Opening Day -- the best in baseball. ... Atlanta was 0 for 6 with runners in scoring position.